Sitla Hotel works alongside Tya Bakery in Øvre (upper) Årdal and the Best Western Klingenberg Hotel at Årdalstangen when it comes to food. You can purchase both baked goods and lunch at Tya Bakery, and they also offer catering. 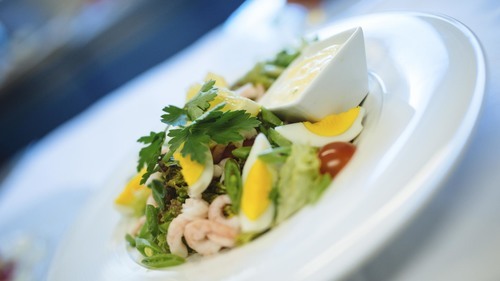 At Klingenberg Hotel in Årdalstangen there is a wide variety of food on offer at Strondi Restaurant, Cafe and Bar. You find the bakery Tya Bakeri in the centre of Øvre Årdal, and it is within a walking distance (5-10minutes) of Sitla Hotel. 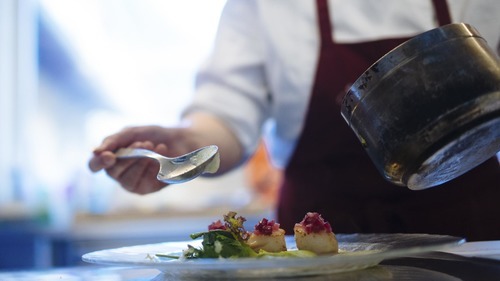 Klingenberg Hotel is only a ten minute drive away and offers outside catering with a beautiful view of the Årdalsfjord. During the summer season you can also experience a meal at the farm Vetti Gard Turiststasjon (tourist station), a great idea if you get hungry during your walk on the Folkevegen towards the waterfall of Vettisfossen. Folkevegen means the Road of the People, and is named as such as it was built by “the people” on a voluntary basis. In 2017 service is available at the farm between the 19th of June and the 10th of September, and it is an experience that is well worth it when visiting Årdal. Summercafè in Utladalen Naturhus from 1st of July 2017.